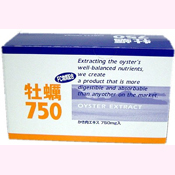 Oyster Extract "Health Drinks" for your good health! 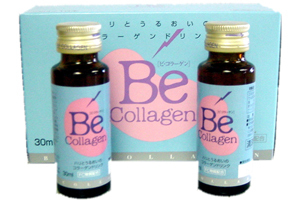 Collagen BE is very popular in Japan! Our Collagen BE beverage offers elasticity and natural moisture for your skin. We have extracted over 40 types of vitamins and minerals from pure oysters. One of the important trace nutrients in oysters is zinc, long recognized as beneficial for beautiful skin and a natural complexion. This is an oyster extract product with a great fruit flavor, and our newest type of �gBeauty Drink.�h One carton of 10 bottles will last for over one month. We are certain you will be very satisfied with the results. Collagen BE can be taken by gentlemen, but it is appreciated especially by ladies! You can drink one bottle a day if you like, since it is a great source of vitamins and minerals. Many people report an increase in energy in addition to a visible improvement to their skin feel and color. See our detailed recommendations in the next question! Drink one bottle each evening prior to bedtime for 5 consecutive nights. Then, drink one bottle on any evening each week afterward to maintain the nice effects. At anytime, you can increase the frequency of Collagen BE if you have had a busy schedule or you simply would like to restore or rejuvenate your skin tone and color to a more natural level. What does Collagen BE contain? Collagen Peptide, Honey, Sucrose, Grove Aloe Extract, Kelp Extract, Oyster Extract, Perilla Extract, Royal Jelly, Garcinia Extract, Silk Peptide, Chondroitin Protein Complex, Elastin, Salmon Albino Extract, Trehalose, Vitamin C, Acidulant, Seasoning (Amino Acid), Fragrance, Artificial Color (Caramel), Preservative (Benzoic Acid Na, Parahydroxybenzoate), Sweetener (Stevia), Vitamin B1, Vitamin E, Vitamin B6, Vitamin B2 and Beta-carotene (Consisting of Pork, Soybeans, and Oranges). Are there any nutritional amounts in Collagen BE? OY-EX 750 is a great health and energy drink for men and women. Popular because of the convenience, the OY-EX Health Drinks are easily digested, with maximum absorption of the vitamins and minerals. Extracted from fresh oysters, with over 40 types of vitamins and minerals, including our patented Substance FC. Each bottle of contains 750 mg of pure Oyster Extract. You can drink one bottle a day if you like, since it is a great source of vitamins and minerals. 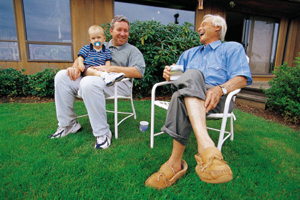 Many people report an increase in energy and overall good effects. See our detailed recommendations in the next question! Drink one bottle each evening prior to bedtime for 5 consecutive nights. Then, drink one bottle on any evening each week afterward to maintain the nice effects. At anytime, you can increase the frequency of OY-EX 750 if you have had a busy schedule or you simply would like to increase your bodies natural energy level. What does OY-EX 750 contain? Fructose Glucose Syrup, Honey, Oyster Extract, Acidulant, Fragrance, Artificial Color, (Caramel), Preservative (Benzoic Acid Na, Parahydroxybenzoate), Vitamin C, Seasoning (Taurine), Nicotinic-Acid Amide, Vitamin B1, Vitamin B6, Thickener Stabilizer (Xanthan Gum), Vitamin B2, Vitamin P (Consisting primarily of apples). 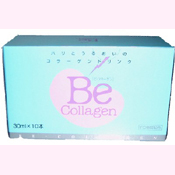 Oyster Extract, Collagen BE Health and Beauty drink.Contains 10 bottles in a carton. 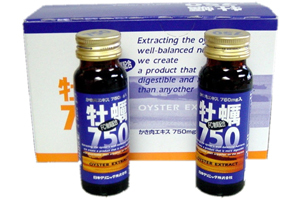 Oyster Extract, Health Drink 750. Contains 10 bottles in a carton. Oyster Extract, Health Drink 3000.